Obesity is described as having an excessive amount of body fat. More than one-third (35.7%) of U.S adults are obese. Although obesity is more looked at as a cosmetic concern, it can also increase your risk of other health complications such as heart disease, diabetes, and high blood pressure. Studies have shown that there are genetic and hormonal influences on body weight, however, obesity occurs when you consume more calories than you burn by doing exercises and other daily activities. Inactivity – Your body is not able to burn as many calories if you are inactive. Unhealthy diet and eating habits – Eating fast food often, skipping breakfast, eating most of your calories at night, drinking beverages with high caloric value, and over eating can cause weight gain. Pregnancy – During pregnancy, women need to increase their weight to compensate for both her and her baby. Sometimes women find it hard to lose weight after giving birth. Lack of Sleep – Not getting the proper amount of sleep (for adults 7-8 hours per night) can cause changes in hormones that can increase your appetite. Medications – Certain medications can cause weight gain. Some medications that contribute to weight gain include antidepressants, anti-seizure medications, diabetes medications, antipsychotic medications, steroids, and beta blockers. 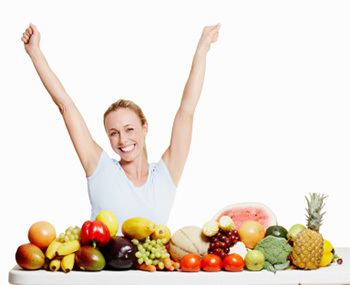 Medical Complications – Some diseases and medical conditions can be traced back to weight gain. A low metabolism is likely to cause obesity, as well as thyroid problems. Because obesity is so complex, a naturopathic approach is usually identified as the best practice. The main objective of holistic treatments is focused on the patient’s overall health and well-being, not just a “quick fix” that doesn’t offer lasting results. Taking a naturopathic approach with obesity is more about fixing underlying imbalances through lifestyle changes which supports a long-term goal, and is less about dieting. If you have questions about obesity or weight loss, call our office today. Together, we can help create a treatment plan that will give you long-lasting results.